The Supernova MKIV Series is our most raw, unadulterated performance implementation of the SLAPS technology, and the Supernova name plate itself. Built with the singular obsession to take the bone crushing power of SLAPS, XLT woofer geometry and 450 Watts of Enhanced Class AB wattage to the the realm of affordability. Throwing etiquette and moderation completely out the window, we have shamelessly shoehorned the proverbial BigBlock V8 into a subcompact, accepting full well that some people will find this much bass at this price point downright offensive. Enjoy harder hitting music beats, and thundering movie effects from a completely gimmick free subwoofer. No blinking displays, useless remote controls, gift bags or plastic novelty microphones! Welcome to performance! SLAPS: (Symmetrically Loaded Audio Passive System) The patented Earthquake technology dramatically increases sub-harmonic frequency response and dynamic output capability. SLAPS overcomes the limitations known from conventional closed and ported designs that prevent radical excursion and deep response. The powerful XLT active woofer is pneumatically coupled to the passive SLAPS device, both capable of 2 inch peak to peak travel - enabling battlefield level effects to be reproduced effortlessly. 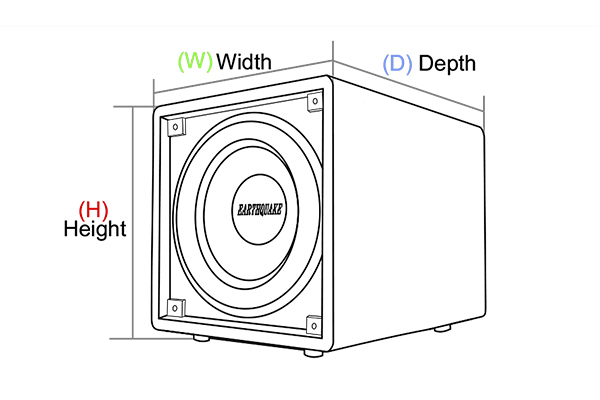 XLT: (eXtra Long Throw) A woofer geometry originally developed by Earthquake for heavy duty industrial subwoofers to expand excursion potential over regular long-throw woofers. The XLT motor structure allows extreme movement without reduced electromotive coupling. The result is superior transient response and dynamics. 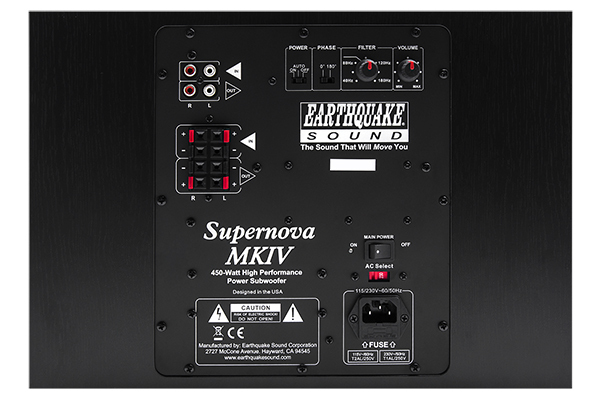 Enhanced Power: The amplifier is based on tried and true Class AB output topology. Earthquake engineers have over the years developed many circuitry innovations that combined leads to an enhanced operational state, increasing efficiency and survivability.